Bass Harbor, Maine, is a perfect example of a quaint little fishing village on what is called the “quiet” or “back” side of Mount Desert Island - home of a large portion of Acadia National Park. It is located on the southwestern part of the island, on the opposite side of an inlet from Bernard. Many people are surprised to hear that Bass Harbor and Bernard are not separate towns at all but are both part of the municipality of Tremont. 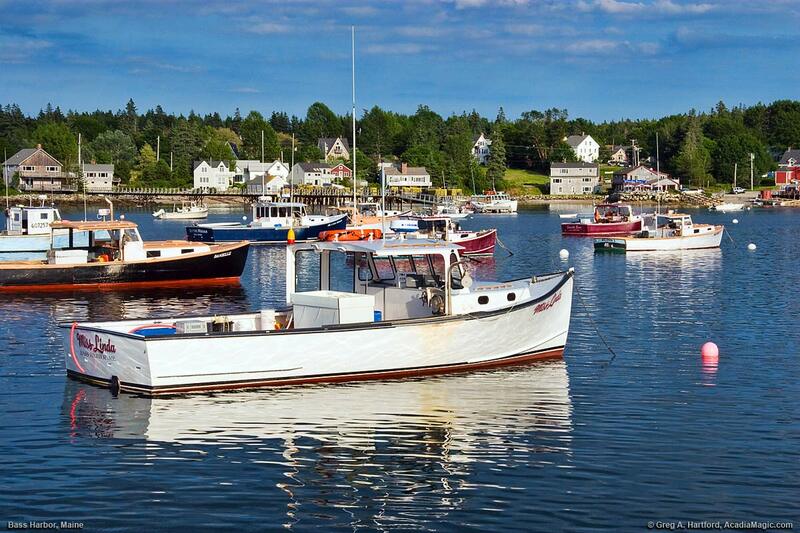 Bass Harbor is filled with coastal photo opportunities like lobster boats and other yachts, lobster traps and buoys, winding roads, and buildings characteristic of the area. 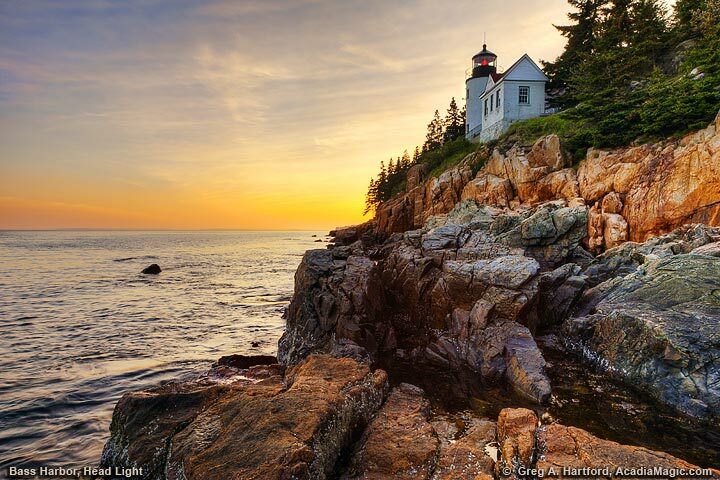 The famous Bass Harbor Head Light is located here on park land a short distance southeast of the harbor. This is one of the most photographed and recognized lighthouses in America. There was a point in time when Bass Harbor was actually called “McKinley.” How it came to be called this sounds like a story right out of some frequently told Down East story book. But apparently, it is true. During the early 1900's, a U.S. Post Office had just been constructed in the village when it was noted that a name for the village and post office had not yet been decided upon. This prompted some federal officials to ask some locals what they preferred for a name. The snappy reply was “Name it after the President for all we care!” So, from that time on until the name was finally changed in 1961 by a petition to Bass Harbor, the area was called “McKinley” after the then President McKinley. 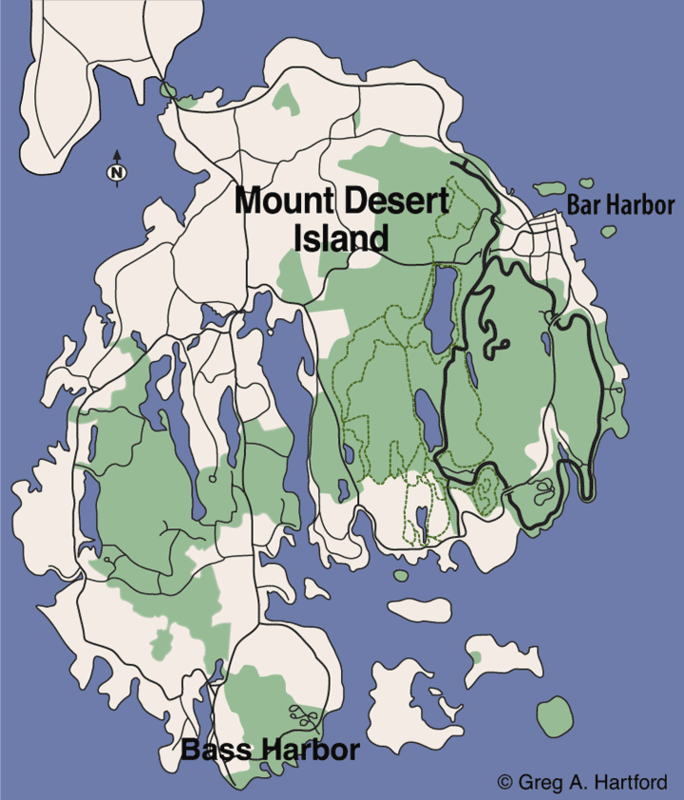 If you are traveling to Bass Harbor from the mainland, simply go straight as you cross over to Mount Desert Island. There will be two choices. Left takes you directly to Bar Harbor via Route 3. You need to take Route 102 South. This will go through Somesville and Southwest Harbor. Immediately on the south side of Southwest Harbor, there are two options. Take Route 102 A on the left if you want to go by Wonderland Trail and Seawall (with its ocean view). For the more direct route, stay on Route 102 South. Both will take you there. Regular ferry service is available from Bass Harbor to Swans Island and Frenchboro. Bass Harbor has a distinctively different feel than other parts of Mount Desert Island. There is no doubt that it is a working fishing harbor. The tools of the trade are all around. It is in the blood of the community. I enjoy the more quiet and relaxed pace of life here, especially after a photo shoot where I had to be in several different places on the island within a few hours. I have often planned my day so that I would end up here, perhaps capping things off with some great Maine seafood and a beverage at a local restaurant that happens to be right next to the water’s edge. I would select an outside table with an excellent view of harbor activities injected with the perfume of salty air. For some reason, this place recharges me and I soon feel a surge of creativity. Once again, I am off chasing that ever changing light and mood.